Beirut (AFP) - Syrian Kurdish forces made fresh advances Wednesday near the flashpoint town of Kobane, bringing the number of villages they have recaptured from the Islamic State group to 50, a monitor said. The Syrian Observatory for Human Rights said the Kurdish People's Protection Units (YPG), backed by rebel fighters, "are continuing to advance in the countryside of Kobane, facing no resistance from the IS". Speaking to AFP, Observatory director Rami Abdel Rahman said the YPG's advance over the past week has been "speedy". "As soon as the YPG enters into a village, the IS withdraws its fighters." After nearly five months of fighting for Kobane, which is strategically located on the Turkish border, the YPG recaptured the town on January 26. Battles then broke out for 350 villages surrounding the town. So far, the Kurds have reclaimed 50 of those villages, according to the Observatory. "The number of villages reclaimed by the YPG... has risen to 50," the Britain-based group said. The YPG's advances come amid fresh US-led coalition air strikes against IS positions around Kobane. According to the Pentagon, coalition warplanes carried out 11 strikes against IS positions in the area from Tuesday to Wednesday morning. 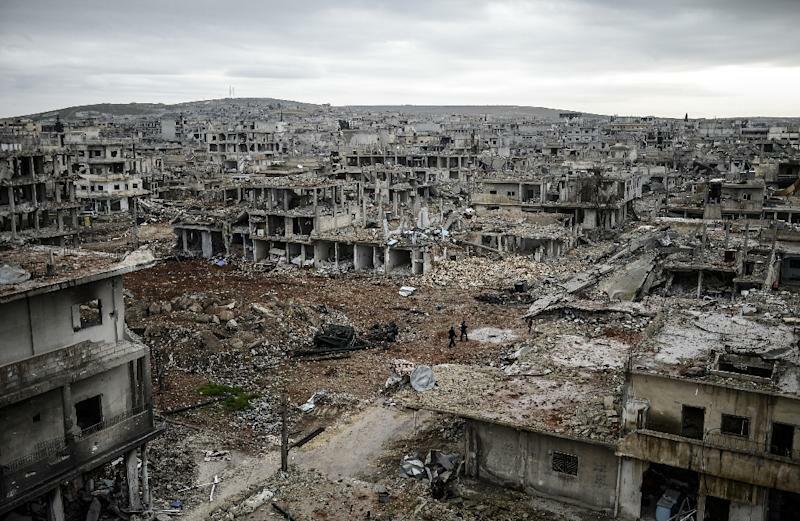 The Observatory says 10 IS militants have been killed in fighting around Kobane since the Kurds reclaimed the town.